Wondering about the side effects of that new drug you're on? Looking for advice on how to cope with a new diagnosis? Is it true that calcium may help prevent colon cancer? If you're like millions of North Americans, you're likely to search for answers on the Internet. But type "osteoporosis" into a popular search engine and you'll get links to over 100,000 pages of information, which can be a headache to sort through. What's more, search engines don't weed out commercial sites that are just trying to sell you something. To save you time and aggravation, the people at Nutrition Action Healthletter searched the Web for reliable, consumer-friendly health and nutrition sites. At WebMD (www.webmd.com) you can quickly locate top-notch nutrition and disease-related information. A good place to start is "Newly Diagnosed," "Stay Healthy," or "Living with Illness" buttons on the WebMD Health page. This site is loaded with feature articles, news items, advice columns, recipes, charts and links to support groups. Advertisements and site sponsors are clearly marked. www.healthyontario.com is a world-class website of health information, maintained by the Ontario Ministry of Health. You'll find reliable, useful articles on just about any health condition, from abnormal heart rhythms to acne. Learn how hundreds of prescription medications work, when to take them, what their side effects are and which other drugs you shouldn't mix with them. Try out the six interactive tools that help you assess your ideal body weight (using the Body Mass Index Calculator), the calories you burn, fat intake, sodium and other common nutrients. www.medlineplus.gov is maintained by the National Institutes of Health, the world's largest medical research institution. This site has links to over 500 health topics, plus access to medical dictionaries, a medical encyclopedia, drug facts, and information on alternative therapies like acupuncture and Tai Chi. www.nal.usda.gov/fnic/foodcomp is the U.S. Department of Agriculture's nutrient database, which is more comprehensive than anything available in Canada. Click on "Search the Nutrient Database" for the calories, calcium, saturated fat or any other nutrient in the 10,000 mostly non-brand-name foods listed. At www.inspection.gc.ca/english/corpaffr/recarapp/recaltoce.shtml you'll find food recalls and allergy alerts, compliments of the Canadian Food Inspection Agency. You can even sign up to have them automatically e-mailed to you. At www.foodsafetynetwork.ca you can find out if it's safe to drink unpasteurized fruit juice or check out the symptoms of E.Coli by clicking on "Eat Well, Eat Safe." Maintained by the University of Guelph's Food Safety Network, this site will provide you with information on minimum cooking temperatures, bacteria profiles, food handling, storage tips and food recalls. You can print out factsheets on everything from acrylamide to mad cow disease to how to safely stuff a turkey. The Network also maintains a national toll-free food safety telephone line at 1-866-503-7638. To look up scientific studies, go to www.ncbi.nlm.nih.gov/entrez/query.fcgi. Here you'll find the world's largest database of published medical research, most of which are in abstract form. At www.clinicaltrials.gov you'll find which government-sponsored studies are recruiting in Canada and the U.S. and what the requirements for participating are. In early 2003 for example, 162 clinical trials on prostate cancer and 6 on osteoarthritis were looking for volunteers. At www.cspinet.org/canada you'll find articles from the current and back issues of Nutrition Action Healthletter, quizzes to help rate your diet, information on food additives, guides to help you lose weight or lower cholesterol and a link to www.smartmouth.org, CSPI's website for kids. 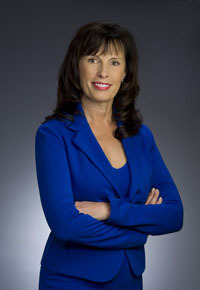 Anita Romaniw is a Community Nutritionist with the Fraser Health Region. She can be reached at the Abbotsford Health Unit at 604-864-3400.